The screen menu is controlled using a wheel or arrow buttons. Thanks to animation the user gets the impression that all menu levels are permanently located on screen. What is going to appear at the next step is always seen in advance. 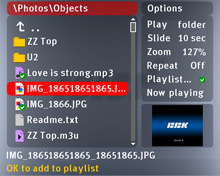 The screen interface is used for viewing and searching through the disc contents. 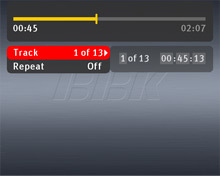 The interface is adapted for work with any discs and formats. 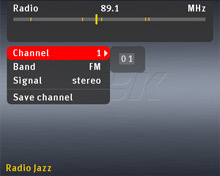 The menu for all formats is initiated with one button, but in each case it looks different.